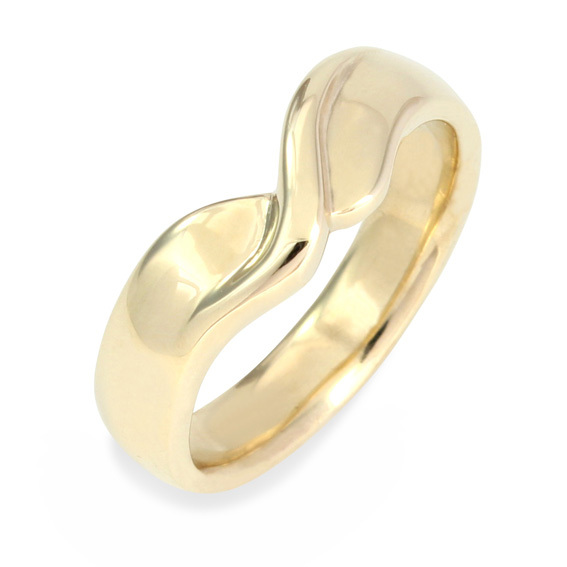 At cooljoolz, making shaped wedding rings has become one of our specialties - and each ring is unique, never to be repeated. 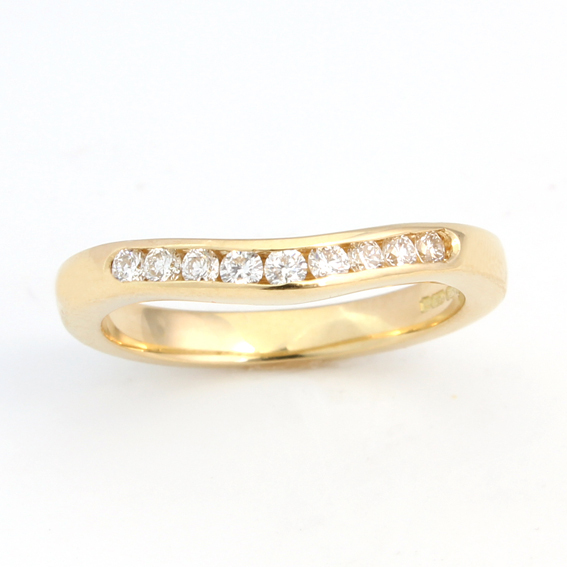 Firstly, we create the perfect fitting ring, by hand carving a wax model of your shaped wedding ring. 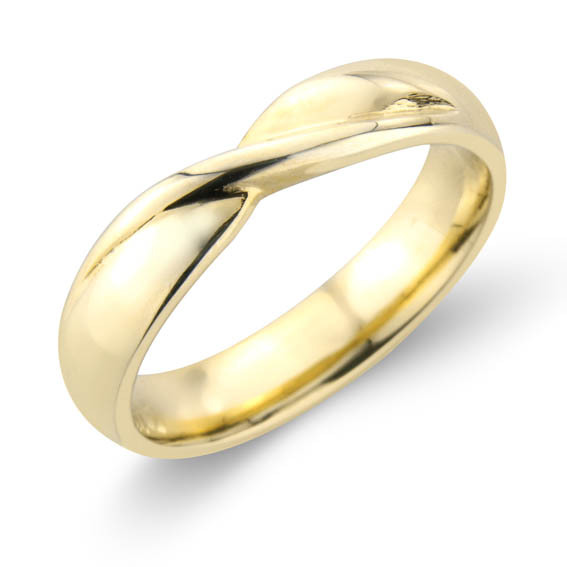 Once you have approved it, it is sent to casting where the wax melts away to produce your exclusive wedding ring, in a precious metal of your choice, usually the same as your engagement ring. 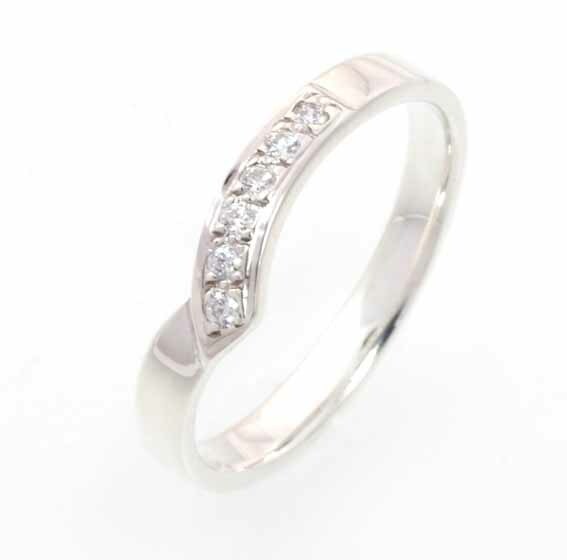 It is then polished and finished to meet your exact specification. 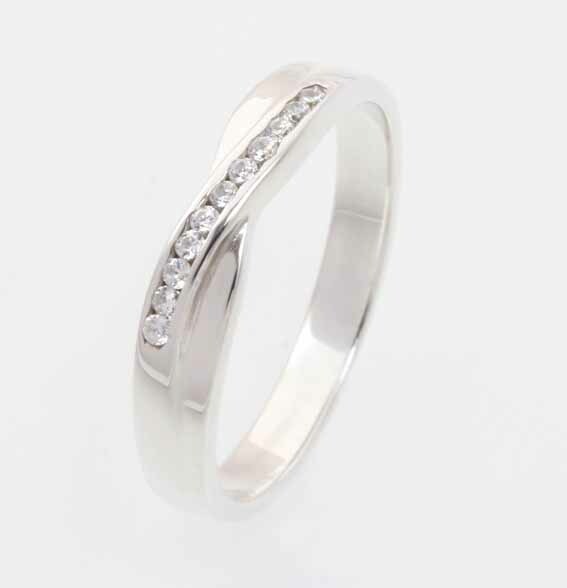 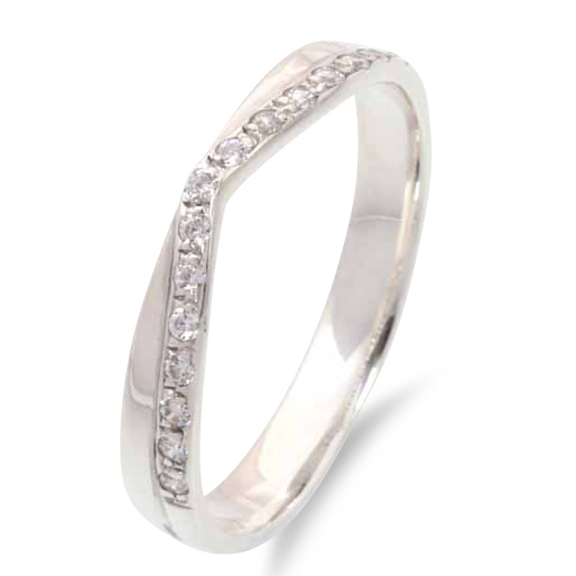 You decide on the width, the shape, the number of diamonds - if you want them, the finish - then we do the rest. 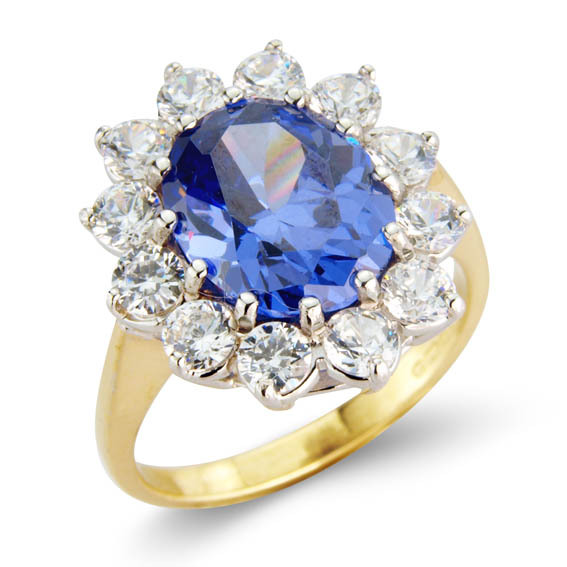 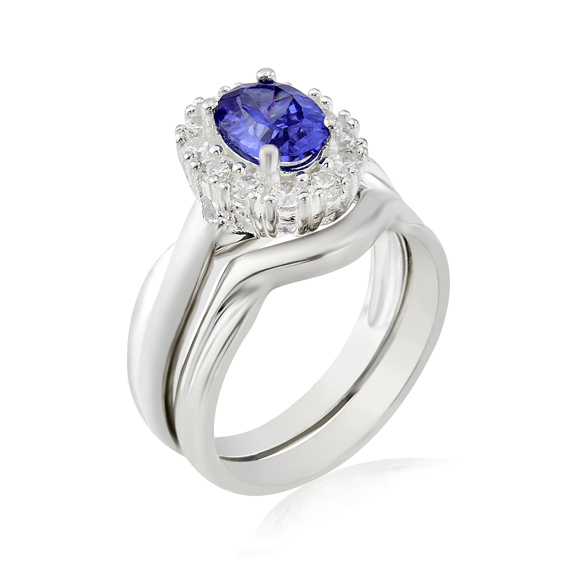 Quite simply, you get EXACTLY what you want to complement your engagement ring. 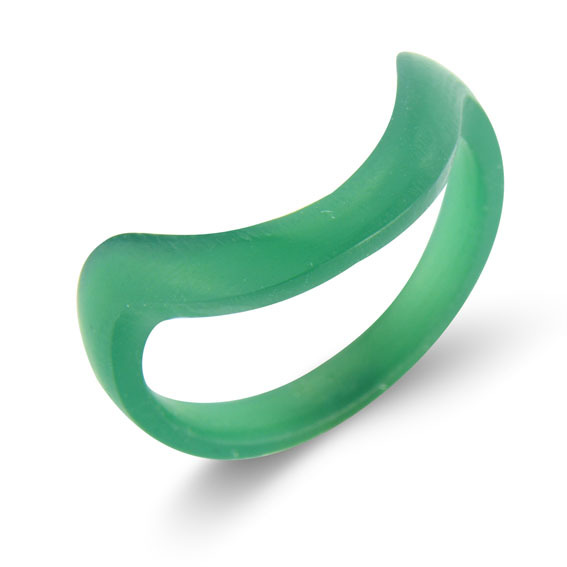 A hand-carved shaped wax model of your wedding ring. 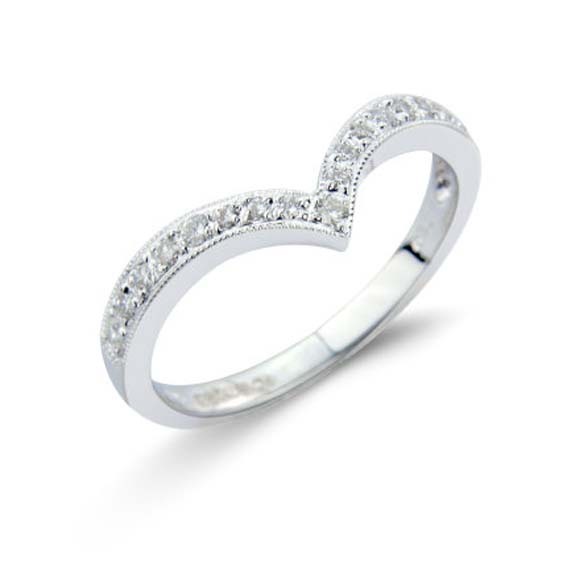 Fits the engagement ring perfectly. 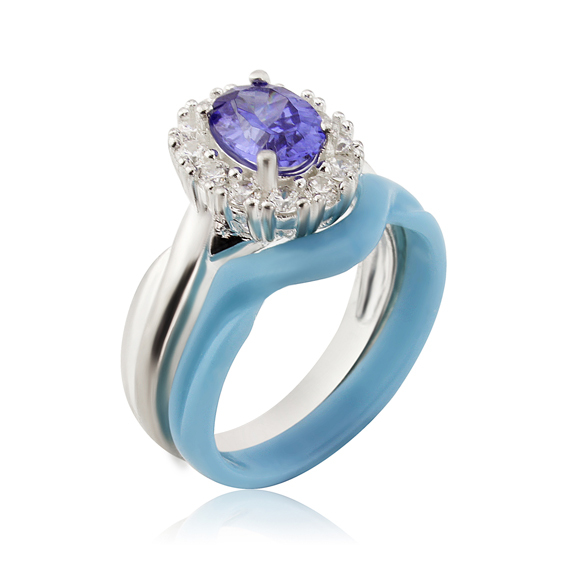 The wax model melts away during casting of your wedding ring. 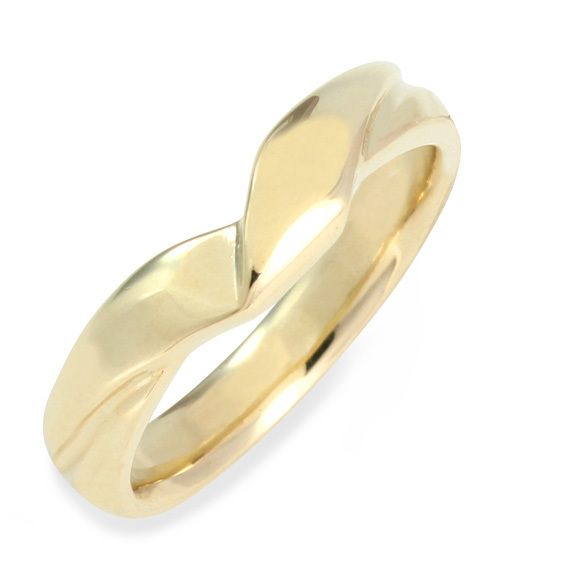 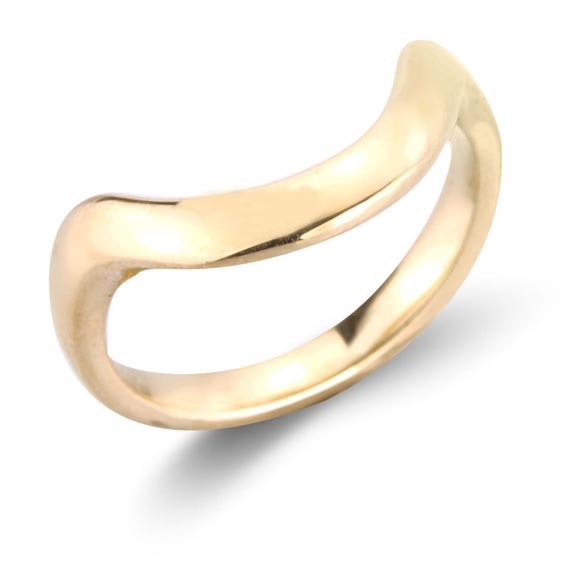 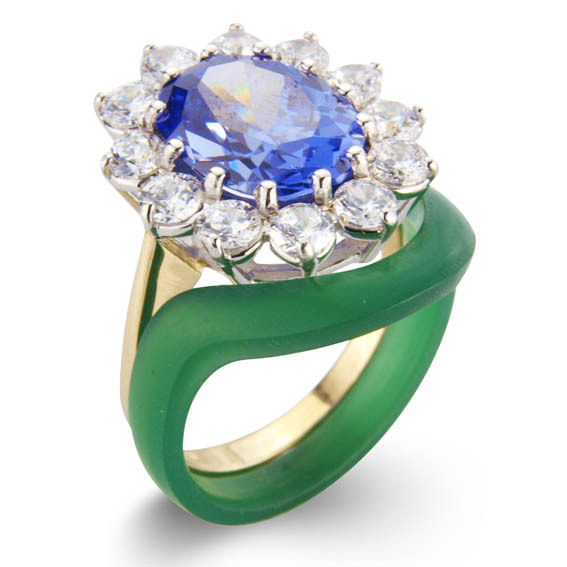 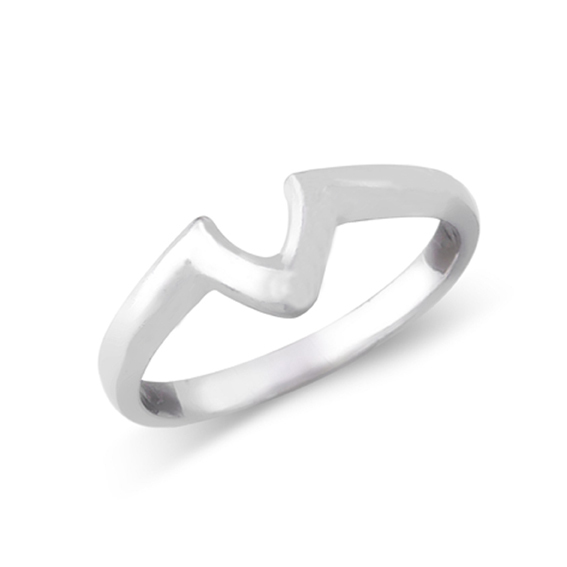 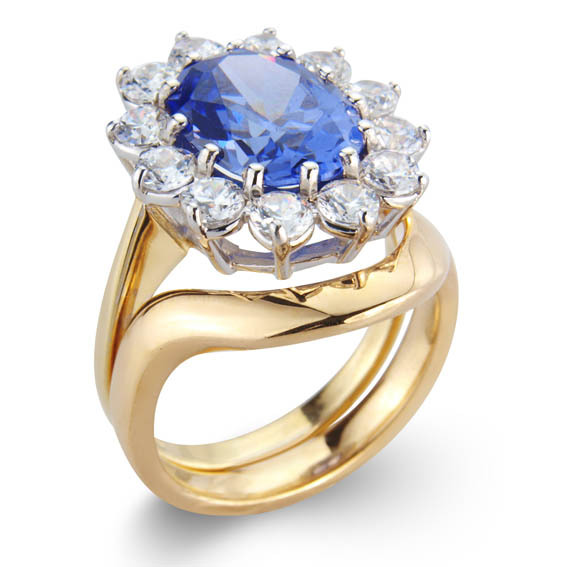 An exclusive shaped ring to complement your engagement ring. 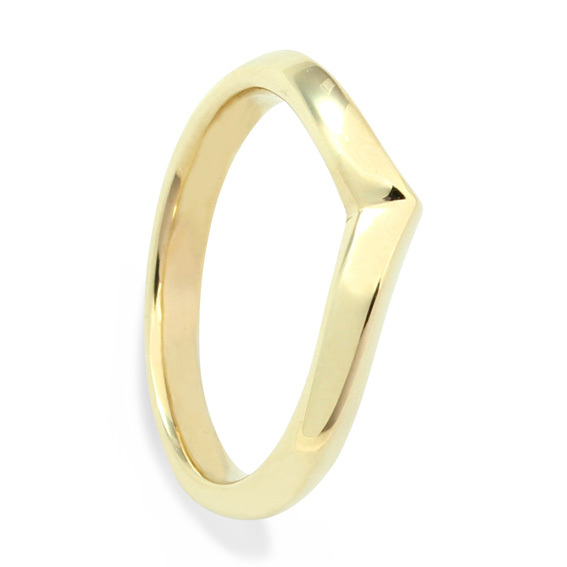 603 - Could suit a marquise or offset stone. 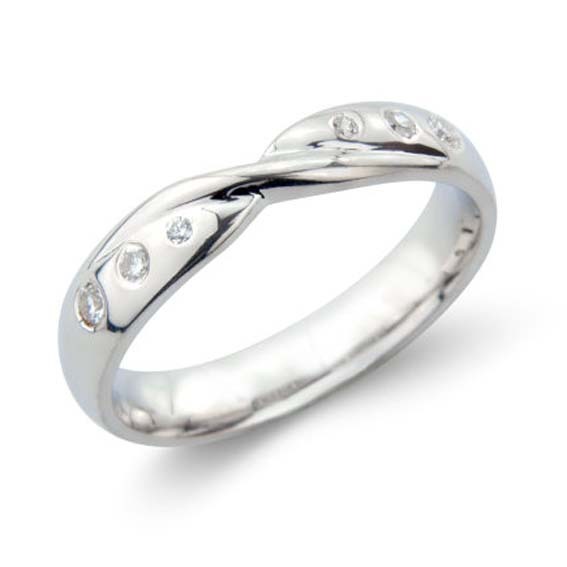 604 - A crossover twist, from 2.5mm - ideal for a solitaire. 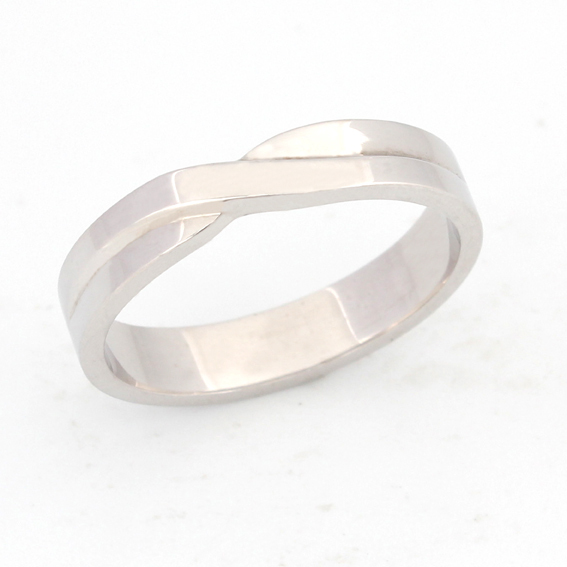 605 - Flat back edge with a V shaped front. 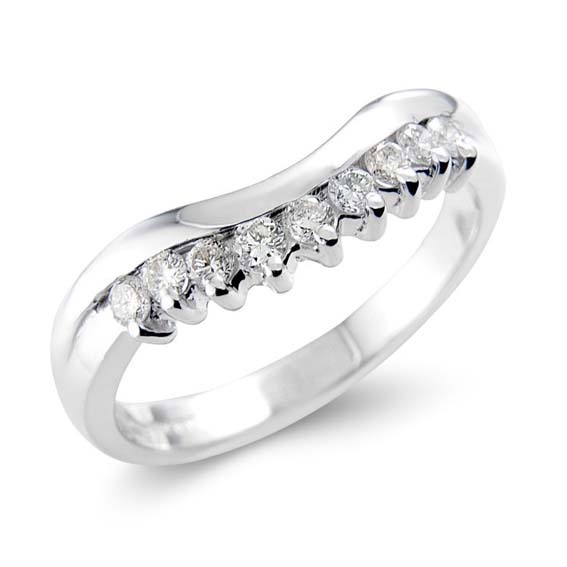 606 - Deep curve set with ten channel set round diamonds. 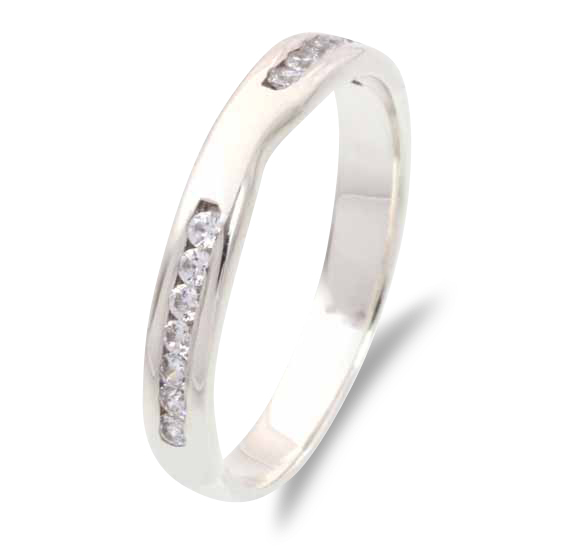 607 - Narrow curve with nine channel set round diamonds. 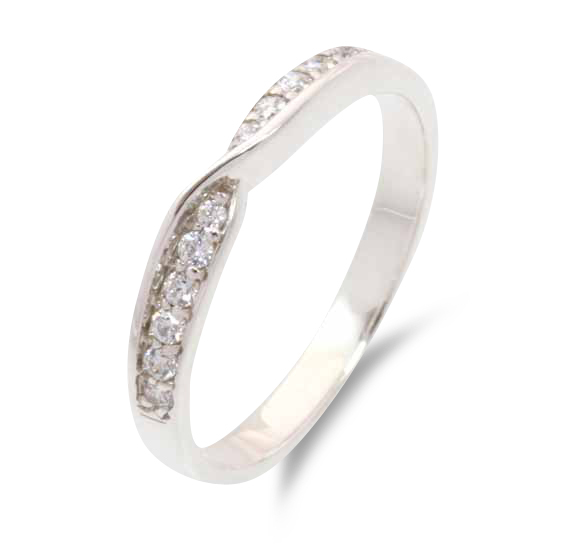 608 - Slight curve with pavé set diamonds. 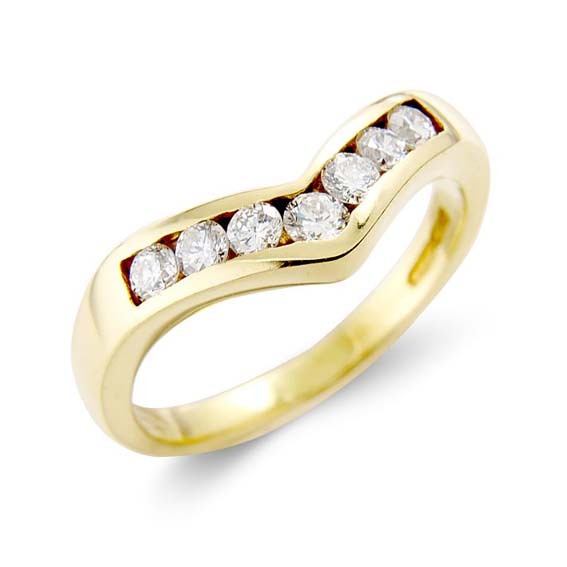 609 - Slight curve with nine claw set diamonds. 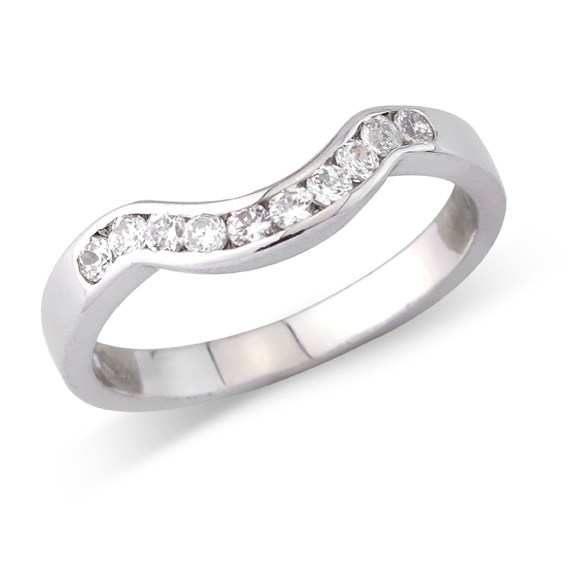 610 - Slight V shape with seven channel set diamonds. 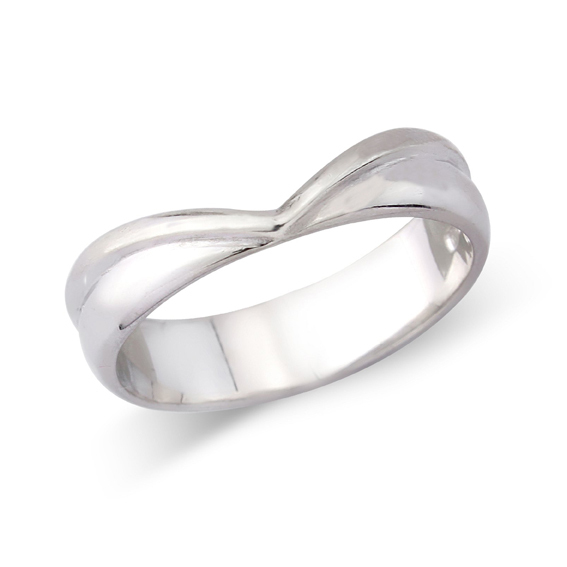 611 - Deep curve - to suit a cluster. 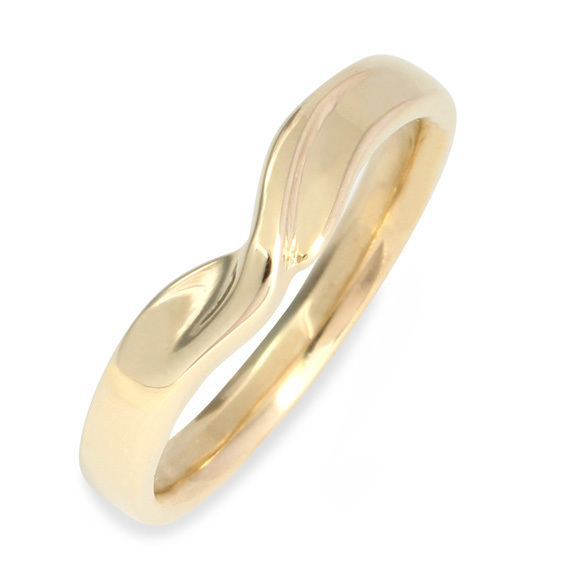 612 - A high set twist, available from 2.5mm wide. 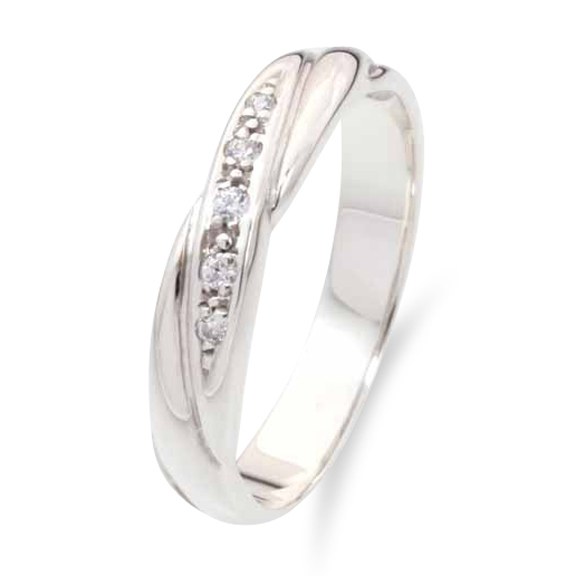 614 - A twist with pavé set diamonds. 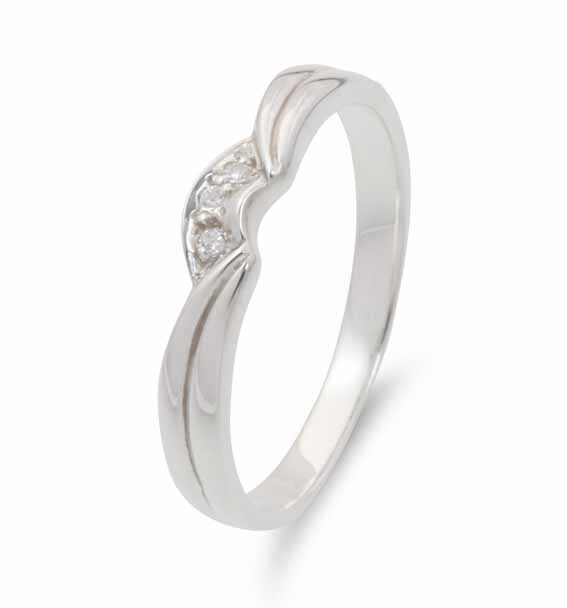 615 - A twist with five channel set diamonds. 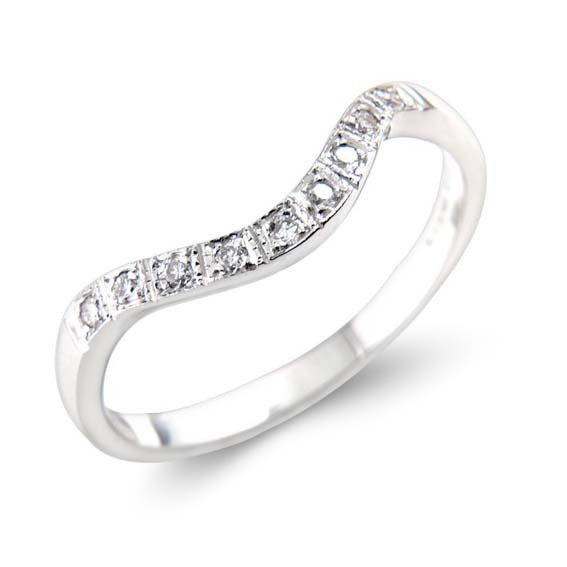 616 - A twist with pavé set diamonds. 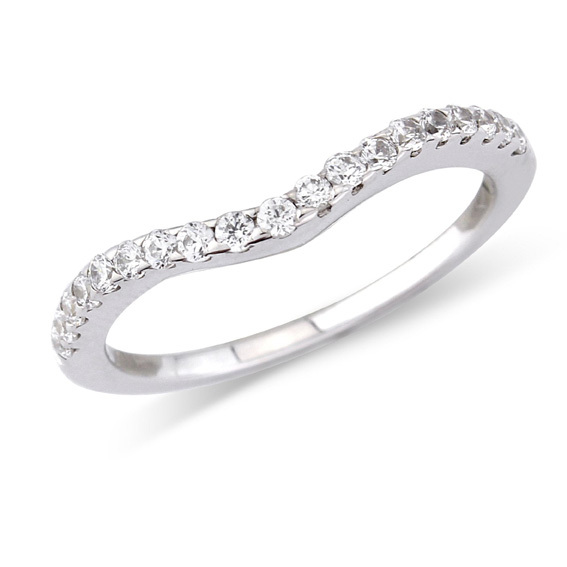 618 - A twist set with six round diamonds. 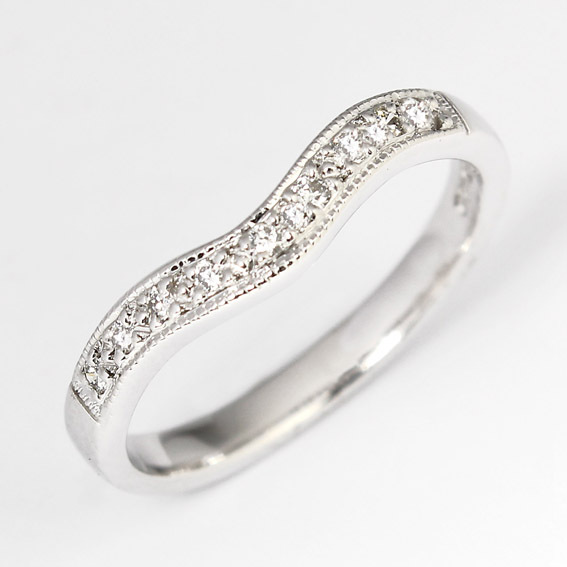 619 - Wishbone shape with pavé set diamonds and millgrain edge. 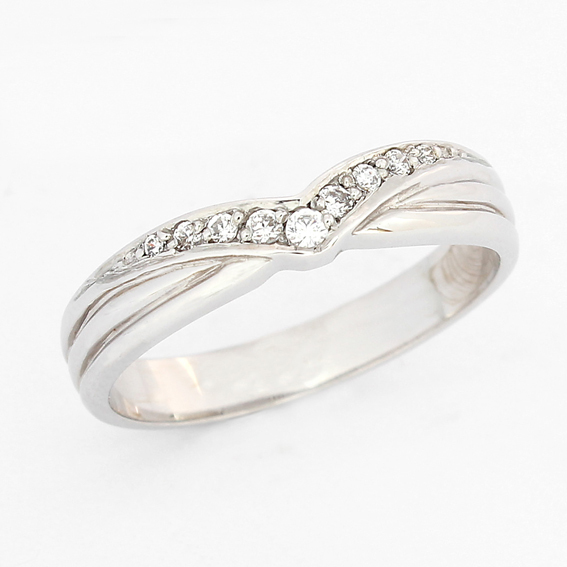 620 -Twist shaped wedding ring with channel set diamonds. 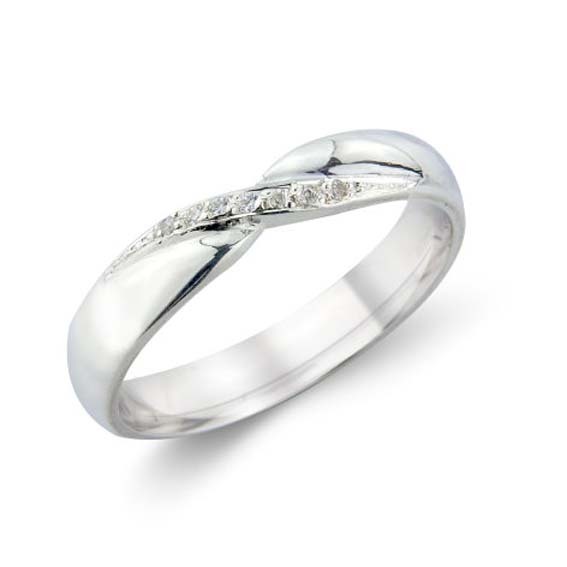 621 - Crossover twist with pavé set diamonds. 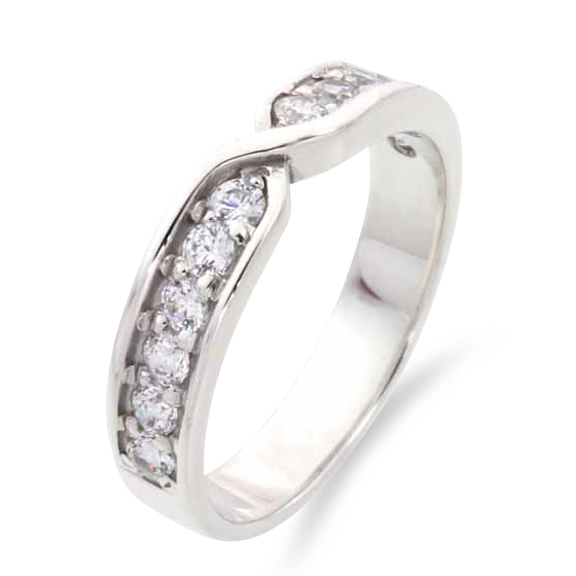 622 - Twist with channel set diamonds on the top. 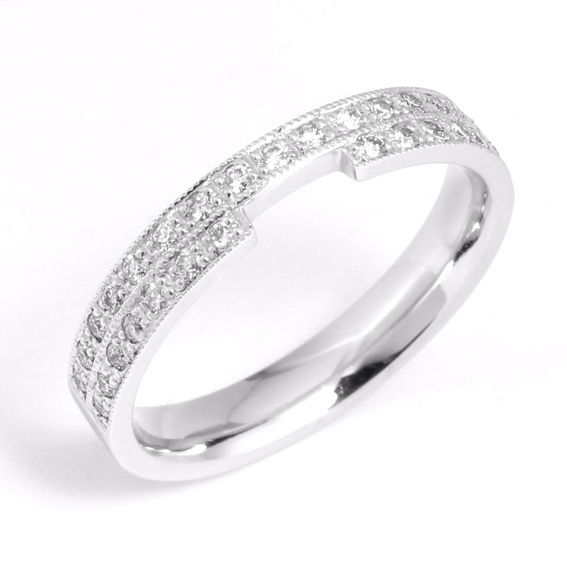 623 - Shaped wedding ring with pavé set diamonds. 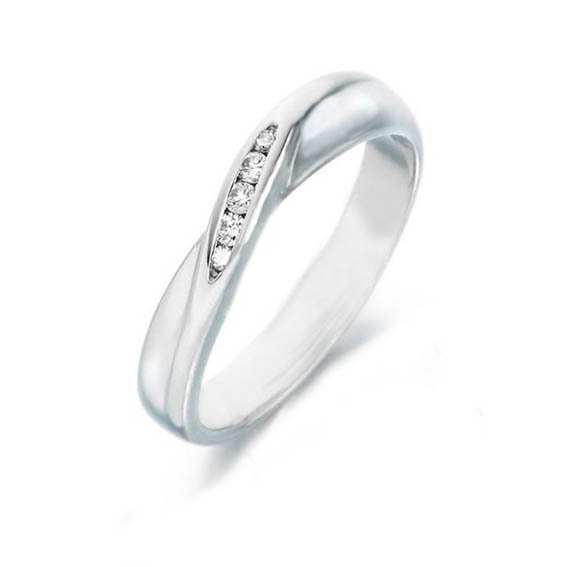 624 - Straight back edge with diamond pavé set V shape. 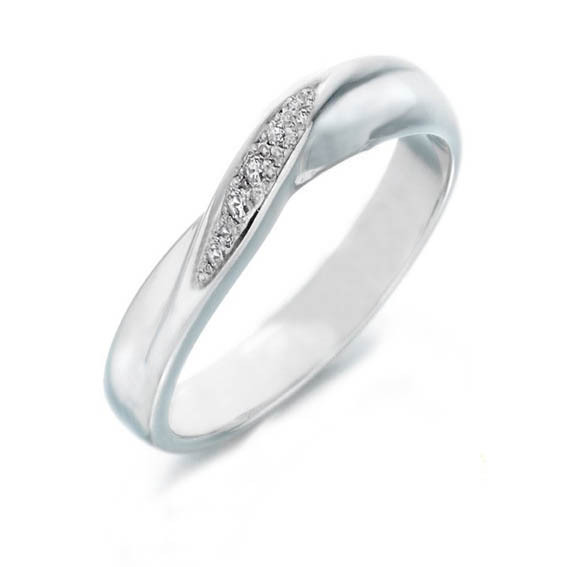 625 - Pavé set sweep on shaped band. 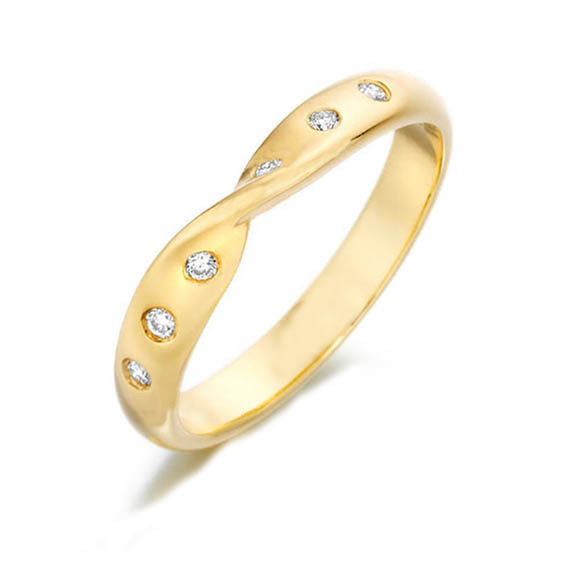 626 - Channel set diamonds either side of a slight curve. 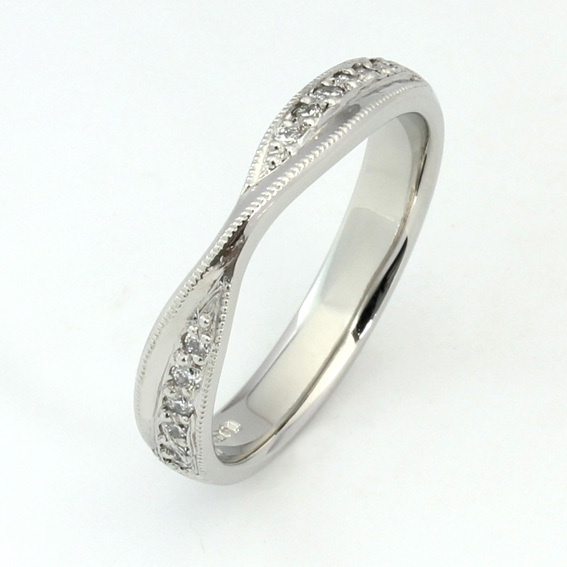 627 - Twist shaped wedding ring with twelve grain set diamonds.